In this podcast, J. Warner Wallace is interviewed by Julio Rodriguez of Bridge Ministries Laredo and discusses the plight of young Christians and the importance of being able to defend the existence of God. 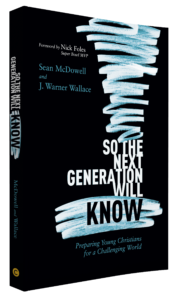 J. Warner describes the statistical data related to young believers (and ex-believers), and then provides a template for defending God’s existence. For more great episodes of the Bridge Laredo Podcast, please visit their podcast page. Next Why Didn’t Jesus Reveal Scientific Facts to Demonstrate His Deity?